Coaching Vehicle Specific Driver Training - Safety Council of Palm Beach County, Inc.
Motor vehicle crashes are a leading cause of death and injury for all ages. Crashes on and off the job have far-reaching financial and psychological effects on employees, their coworkers and families, and their employers. To save lives and to reduce the risk of life-altering injuries within your workforce. To protect your organization’s human and financial resources. To guard against potential company and personal liabilities associated with crashes involving employees driving on company business. Your program should work to keep the driver and those with whom he/she shares the road safe. And, if necessary, the program must work to change driver attitudes, improve behavior, and increase skills to build a “be safe” culture. By instructing your employees in basic safe driving practices and then rewarding safety-conscious behavior, you can help your employees and their families avoid tragedy. Coaching the Experienced Driver 3 is a comprehensive driving course that details safe driving skills and techniques. Parking blind spots, safety belt / airbag safety , and driving in commercial areas are just some of the topics discussed. Also available on CD-ROM. Coaching the Professional Truck Driver will motivate and re-educate your drivers to be safe and responsible drivers. CDL material is reinforced. 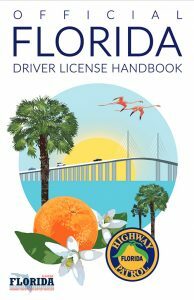 Required by the State of Florida for tractor trailers that drive on the turnpike. Coaching the Straight Truck Driver 2 is a four hour program that covers: cushion of safety, overhead clearances, blind spots, hazard identification and analysis/response, backing and more. Coaching the Utility Truck Driver is easy to use and can be customized to fit your needs. Turning, backing, blind spots, scanning, and packing are just some of the topics covered in this course. Available on CD-ROM for individual instruction. Coaching the Maintenance Vehicle Operator teaches operators collision prevention techniques, vehicle inspection, and operator safety at the worksite. Coaching the Pest Control Driver is a brand new four hour course or commercial pest control drivers. Covers special considerations, vehicle inspection, intersections, backing and more. Coaching the Route Sales Driver features step vans in this advanced driving program. Features specific techniques on safe deliveries, backing, driving in low light conditions, and much more. Coaching the Van Driver 3 covers critical defensive driving techniques for professional van drivers. This four hour program covers blind spots, stopping distances, wind resistance, and other special situations. Optional segments include transporting cargo and passengers. We can schedule any of the above at your place of business. Call 561-845-8233 for information and pricing.